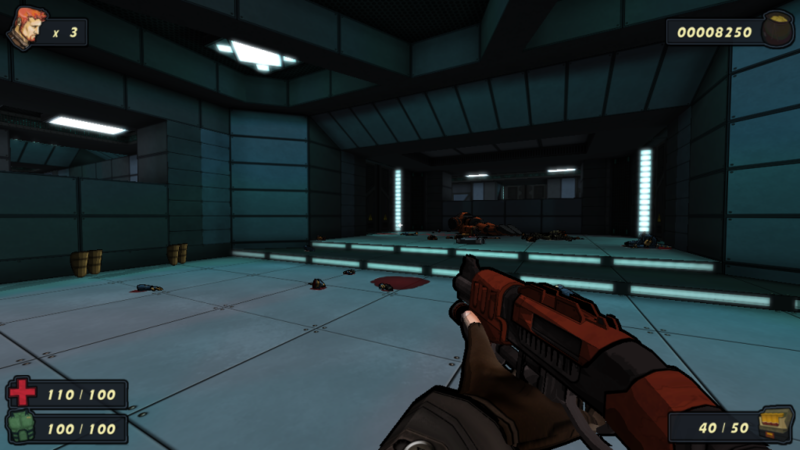 Wrack’s next update is going to be so big that it’s getting its own preview! We’re all very proud of this update which marks a major step towards Wrack’s completion. That doesn’t mean we’ll be done working on it by any stretch (Blizzard was still making updates to Diablo II 10 years after the game came out), but it will be great to have all of the features and main content completed. A couple more updates like this one, and we should be all done and ready to turn our focus to the two episode expansion which should come out around… well, I don’t even want to think about that right now! On a sidenote… do you all think these updates need better names? It seems a bit weird referring to this as “the next update”, versus “Version 1.0975″ or something fun like that, but maybe it’s just me. Anyway, since I can hear you all screaming at me to get on with it… I think I shall! NEW WEAPON! 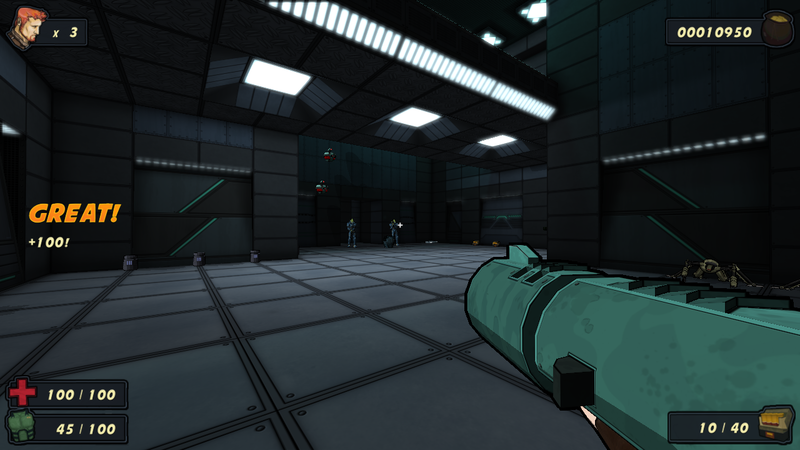 Wrack’s next weapon, the bazooka, will finally be included! It pretty much does what one would expect: You fire it, and things die. Lots of things. NEW LEVEL! The next update will introduce a new area – the fusion plant! This area makes heavy use of force fields, which have all sorts of fun applications. The area even has a new monster – an arcturan that fires (wait for it, wait for it)… a railgun! CUTSCENES AND MAP INTROS! This next update of Wrack will feature both in-map cutscenes, along with fully illustrated intros to many of the maps. These will put into motion Wrack’s plot, but more importantly, the personalities of all the characters we’ve been introducing. VAST IMPROVEMENTS! 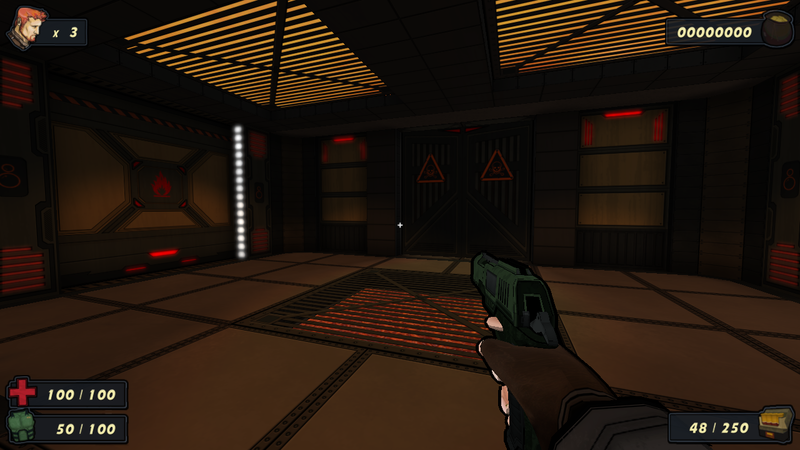 Many areas of Wrack have been either vastly improved, or completely redone… like weapon animations, loading screens, the E1M4 texture set, and much more! But hey, assuming you’re a human (rather than a Google web crawler), I’m sure you’d much rather be shown what’s in the update, rather than be told! So, with that in mind… SCREENSHOTS! All in all, I’d say the biggest game-changer (pun intended) has got to be the bazooka. Why? It allows the Wrack maps to open up a bunch. Prior to this weapon’s inclusion, you didn’t really have any weapons in your arsenal that did well against far away monsters. The pistol is accurate and good for individual monsters at a distance, but not piles of them. With the bazooka, you finally have that weapon. E1M6 and beyond have lots more open rooms and bunches of monsters up on ledges – perfect for the bazooka! Anyway, we hope to bring this to you real soon. As you can see, we’re hard at work on this and making tons of progress, but there’s still quite a bit more to finish up. We’ll do our best to make this happen as quickly as possible – without rushing things. 5 Responses to New Update Preview! But will there be rocket jumping? Stay tuned for next week’s protip! Please please please add co-op to the game! If the game does well enough, we’ll do a co-op-oriented Wrack 2!